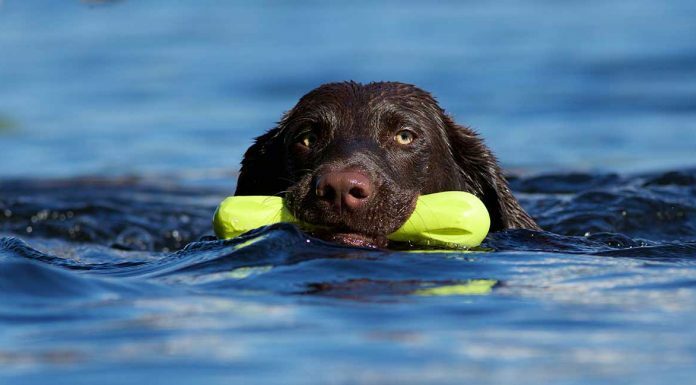 In this article we will be looking at the best dog toys for large breeds like Labradors. Sharing our knowledge about indestructible dog toys, dog puzzle toys, dog chew toys, soft toys for dogs and many more. Saving you time and dollars! Labradors love toys. But with so many options out there, it can be easy to fall into the trap of buying ones that are just not suitable for this exuberant breed. Labs are a lively, boisterous bunch. They love running, fetching, carrying, chewing, digging and above all playing. And what’s more, they all play in slightly different ways. Some will snuggle up to soft toys and carry them around, others will shake everything ferociously, excavate stuffing and rip up even the toughest toy you can find. 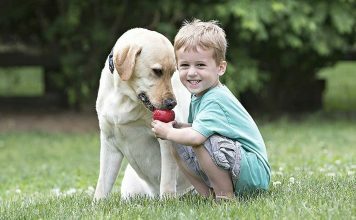 But no matter how your Labrador likes to play, we are confident that there is a toy out there that he will love. And we have been working hard to find it for you. 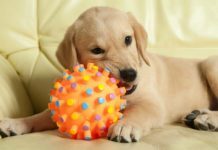 In this article we have compiled a list of toys that Labradors love. With considered thought to the ways in which different Labradors play and what they will get out of each and every one of them. 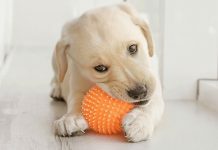 So check out our selection of the best toys for Labradors, based on a wealth of personal experience with this wonderful breed. A great way to start finding a toy your dog is going to love, is to check out what other people’s pups have enjoyed getting their paws, jaws and claws into. 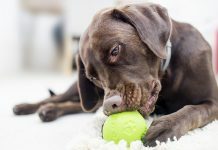 We have gone through the best selling dog toys on Amazon, and selected a few very popular choices that your Labrador will love. The Giraffe Chew Toy is a rope toy that your Lab will love to get his teeth into. It’s a sturdy design so will suit light to moderate chewers, and will even give their teeth a bit of a clean in the process! Check out The Giraffe Chew Toy on Amazon here now. The Nylabone Dura Chew is a textured ring chew toy. It is designed with powerful chewers in mind, so should keep even the most determined Lab occupied. The varying textures help to keep your dog interested, and promote dental health too. Find out more about the Nylabone Dura Chew on Amazon here. This Large Yellow Duck Toy is a popular choice with dog owners. It is great for playing fetch and has a fun internal squeaker for your dog to chew on. As a soft toy it’s not the best choice for powerful chewers, but for those cuddly Labs it will provide great entertainment. Check out it’s brilliant reviews and pick up one of your own from Amazon here. The first toys we will look at as a part of our compilation of the best dog toys for Labradors are the chew toys. Because most Labradors love to chew. Some of those we have chosen are labelled as ‘indestructible’ dog toys. This label is quite a claim, and it isn’t without it’s merits. If the manufacturer has called a toy ‘indestructible’ you will usually see a guarantee quoted next to it. This means that if your dog does manage to destroy it, you will get a replacement for free (although usually after you have shelled out for postage) or a refund. But despite insinuations, some dogs are made of tougher stuff than the toys. Especially if your Labrador is crossed with another breed known for their powerful jaws, like Pitbulls for example. I have not yet found a dog toy on the market that has no reviews contradicting it’s ‘indestructible’ status, so do take this label with a pinch of salt. However, it is a good sign of the manufacturers confidence in the product if this word is coupled with a guarantee. After all, they wouldn’t offer it if they didn’t think it was going to be a rare occurrance. Most Labradors will use anything they can get their teeth on as dog chew toys. Regardless of whether or not this was why you brought them into your home! So it can be very helpful to find a few sturdy and entertaining items to keep them occupied in a less destructive way. Kong toys are popular tough dog toys who are keen chewers. And they come in a range of different materials to cater to the varying levels of biting your Labrador might exhibit. A great choice of Labrador chew toy is the Kong Extreme. In the traditional Kong shape we have all come to love, but made from a tougher and more durable material. We are massive fans of the Kong. The idea behind it is to have something you can fill up with treats in a paste, kibble or frozen form. Your dog can then stay happy for hours munching down on it. They are great for keeping them occupied whilst you are busy or if you have to pop out and leave them at home. Our bouncy chocolate Lab, Rachael, has other ideas for her Kong too. It is her favourite fetching toy. She loves to chase after it and bounce it around the yard. Staying interested in the game long after everyone else has tired and wandered back indoors. I can’t say enough good things about the Kong, and I have chosen the Extreme version for this list because a lot of Labs are tough biters too and this is their sturdiest version. Although I have known of a few Labradors that managed to take this tough item apart, they are for all but the most dedicated of destroyers a really good choice. Find out more about the Kong Extreme here. Another good option for a fun Labrador chew toy is West Paw Design’s Zogoflex Hurley. A guaranteed tough dog bone chew toy. This large blue bone is designed to stand up to long and intense chewing sessions. It is carefully manufactured to be safe for your Labrador and comes as guaranteed by the maker. So if your Lab does manage to take it apart it can be replaced or refunded. This bone shaped chew toy comes in a range of sizes, and I recommend that you go with the large for a Labrador. Find out more about the Zogoflex Hurley Bone here. Goughnuts are increasingly popular dog toys and it’s no surprise because they are well made and cleverly thought out by the manufacturers. Goughtnuts are more than just a catchy name. The guaranteed indestructible dog toy makes a serious claim. To call any dog chew toy, however tough, ‘indestructible’ is a stretch, but fortunately for Goughnuts they back it up with a lifetime guarantee. If your dog manages to chew through the green outer layer to access the red inner one, they will replace the toy for you. The only downside of the Goughnuts Indestructible dog toy is that it doesn’t have a big fun factor, so to get your dog initially interested in chomping down you might need to try smearing something tasty on the surface. However, once they have found how hard it is to break through, they should spend many a happy hour chewing it. Find out more about the Goughnuts indestructible dog toy here. My final choice for the best chew toys for Labradors has to be JW Pet Company’s Chompion Heavyweight dog chew toy. It is made of 100% rubber and is designed for enthusiastic chewing dogs with strong bites. It even comes in three weights depending upon the size and strength of your dog. Choose the heavyweight for your keen chewing Labrador. This toy is specifically designed for enthusiastic chewers, to be durable but also with the added bonus of helping to keep their teeth in a good condition with the raised bumps on the surface. Find out more about the Chompion Heavyweight dog toy here. 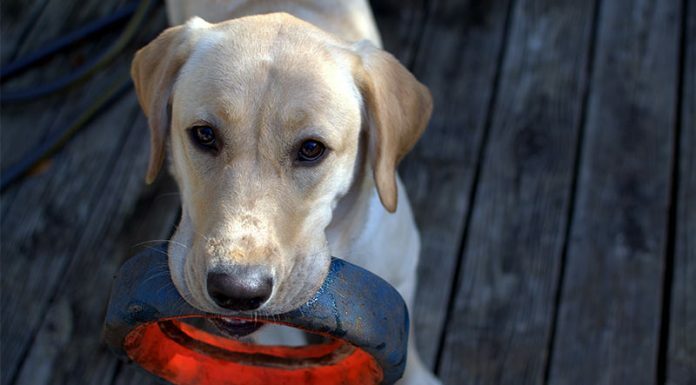 Labradors love carrying things in their mouths, and many of them extend this to games of tug. If your Lab loves pulling on the other end of your tea towel when you pick it up, then he will probably enjoy playing with a specially designed tugging toy instead. Get the right design and they will last for ages, and be fun for you and your dog. Some designs can even be used by two dogs together, giving them all the entertainment factor without you having to lift a finger! A popular option with Labradors is always a rope toy. Our Labs all love and have loved ropes, especially those with knows that make them easy to pick up and carry around. A nice option is the Mammoth Flossy Chews cotton blend, three knot rope toy. It comes in a range of sizes, and for an average sized Labrador I would select the large. For very big and strong Labs you might even consider the extra large version. 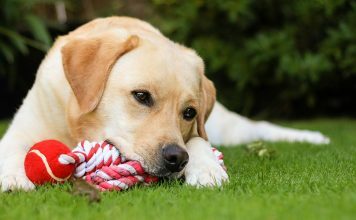 It is not just a fun tugging and carrying rope toy for your Labrador to play with, but the fibres of the rope are designed to floss your dog’s teeth as he chews too! Rope toys are almost universally well received by Labradors, and this version is long-lasting and durable even when played with by fairly persistent chewers. Find out more about the Flossy Chews Rope here. If you want to get involved in your dog’s tugging game then the Invincible Chains triple dog toy is a great option. 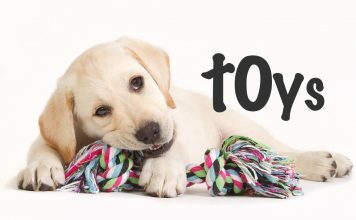 This tugging toy is well suited to bigger breeds like Labradors, who love to tug and hold things in their mouths. It is made of a solid resilient rubber, and is designed to be thrown and retrieved as well as held onto and pulled by human hands or a doggy mouth. It is a good size, to suit even the biggest Labrador, and fairly chew resistant too. It is also fairly easy to rinse off in the sink, and the rings can be hung from your coat hook for simple storage. Find out more about the Invincible Chains toy here. Another fun option with a bit of a different look and feel is the Bumi dog toy. It is a guaranteed tough tug of war toy. The guarantee means that if your dog does manage to damage it they will replace or refund the toy. However, you are unlikely to need to use this guarantee as it can stand up against some fairly intensive biting during games. It also flexes and stretches as you play, which keeps the structure from tearing. Buy yours in the larger size to suit a Labrador. I particularly like the fact that the Bumi is also dishwasher safe, so you won’t be put off playing by yesterday’s dog drool. It comes in bright and easy to spot colours, so you hopefully won’t lose them when you are playing in the back yard either. Find out more about the Zogoflex Bumi here. Once again the popular Goughnuts brand is one of our main contenders for the best toys for Labradors. The Goughnuts tug toy is strong and was designed with safety and durability in mind. It is of a large size so should stand up to even the biggest Lab’s best efforts to pull at it, whilst being easy to grip and hold. 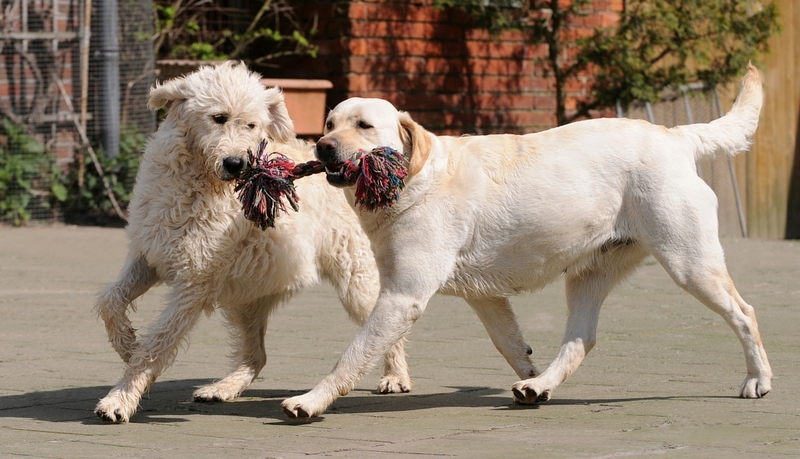 Brilliant for playing tug with your dog, or for two dogs to tug together. Find out more about the GoughNuts tug toy here. Whether they prefer to snuggly up next to them, shake, squeeze them or rip them to shreds, the attraction is pretty much universal. However, it can be pretty frustrating to buy them a lovely new soft toy only to find it in pieces mere minutes later. Fortunately, there are some options depending upon how ferociously your Lab likes to play with his cuddles. Although we wouldn’t recommend soft toys to the most destructive of dogs, there is plenty of choice for most of our furry friends. From unstuffed cuddly toys for Labradors who like to pull out the padding, to noisy soft toys and those just for hugging. Let’s take a look at some of our favourites from the bunch. Labradors are big fans of the Outward Hound’s Matz Gator. Although I must admit to being less happy with toys that make this much noise, it is hard to object when your dog is enjoying themselves so much. The Matz toy alligator includes over 30 squeakers in his body, so he has a high entertainment factor for dogs that love to shake and squeeze. His long jointed body is great fun for Labradors to flap around with, and the Gator’s head even rattles too. It is also soft and cuddly, so when they are done playing your Lab can happily curl up next to it in bed. Great for minor to moderate chewers. Find out more about the Matz Gator here. A good option for a dog who is a keen stuffing extractor is to buy them some unstuffed toys. There are quite a lot of these available nowadays, and a nice new option we found is the Ethical Mini Skinneeez Raccoon. A 14 inch stuffingless dog toy shaped like a flat Raccoon, Fox or other woodland critter! It contains no padding to tear out, and a fun squeezer to chomp down on. However, if your Labrador is a very intense chewer it is possible to pop the squeakers, so I would recommend this for supervised play to be on the safe side. Find out more about the Skinneeez Raccoon here. However hard your Labrador can chew he is going to struggle to break through the body of the Braidz Monkey by Kong. The large safari Monkey toy isn’t just a cute cuddly companion for your Labrador. He is specially designed to be durable and withstand a moderate amount of chewing. His tightly braided body is tough, and also helps your dog to polish his teeth and remove plaque whilst he gnaws on it. The downside of this toy is the head is soft and padded, so it is not ideal for the most exuberant stuffing destroyers, but the body should stand up to a good chewing session. Find out more about the Kong Safari Monkey here. The best Labrador toys don’t just burn off his excess physical energy, they help him learn to use his brain as well. Interactive dog toys like treat dispensers, dog puzzle toys and dog mazes all require the dog to learn how to access his reward. In our experience not all dogs are a fan of these games, our older fox red Lab Tess for example just isn’t that fussed about getting access to a bit of kibble if she has to work too hard for it, but our lively younger girl Rachael delights in all of them. 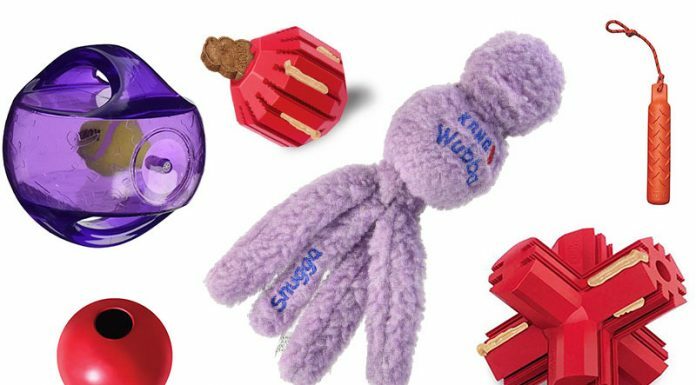 We have had a look at some of the best interactive dog toys, so that you can pick the ones your Labrador will love. I am a big fan of the Buster Dog Maze. We have recently started using this maze with Rachael. It has proved very entertaining for us as well as her. Watching her figure out how to move the pieces of kibble from the centre of the maze to the exit points. She uses a combination of her tongue and paws to get the kibble through the maze. Little Phoebe the Cocker Spaniel had the most success with her more considered movements, but Rachael’s enthusiastic and less well thought-out approach was still successful in the end. And in fact you could see her learn and develop her technique as she progressed. The Buster Dog Maze is also nice and heavy, so despite her best efforts Rachael hasn’t been able to tip it over to retrieve her treats without using the game as intended. A big bonus for a boisterous Labrador. I highly recommend this toy for lively Labradors who need a bit of additional entertainment, or even for occasional use as a slow feeder for a Labrador who is wolfing down their dinner too quickly. It’s also dishwasher safe, just make sure you put it in maze side up to avoid pools of water when you retrieve it! Find out more about the Buster Dog Maze here. StarMark have produced the Bob-A-Lot Interactive dog toy. It is built a bit like a weeble, designed to be bumped with the dogs nose to rock it from side to side and release treats. It is not as complicated to use as the maze, but for a dog who is less inclined to work for their treats this is a great option and more quick to reward them. The only word of caution I would give with this is that it is not chew proof. It is designed to be played with by pushing with their noses, tongues and feet. If your dog puts the whole thing in his mouth and starts gnawing down you might need to remove it from him temporarily. However, for supervised play it is a very popular little dispenser. Make sure you buy the larger version for your Lab, as the small is more appropriate for toy breeds. Find out more about the StarMark Bob-A-Lot Interactive dog toy here. A novel Kong toy that has proven very popular with Labs is the Jump ’N Jack. The large version of the Jump’N Jack is great for fun Labs who love treat dispensers. You can push kibble pieces into the grooves or use Kong’s own dog paste to keep them entertained for longer. This is ideal for bouncy Labs who love treat dispensers and playing with their toys, bouncing and pushing them around. You will find that if you limit the time they get to play with it each day too, it will keep it’s novelty for longer. Find out more about the Kong Jump’N Jack here. Our final choice is another real favourite. The Nina Ottosson Dog Tornado Interactive dog toy. We are big fans of the Nina Ottosson range of dog toys. They are well designed and obviously carefully thought out in terms of a dog’s capabilities. You can even up the skill level as your dog learns to master it. At around $50 it is one of the pricier options on the market at the moment, but should provide your dog with many hours of entertainment. It is also dishwasher proof, so you can keep it in a nice condition despite the inevitable drool which follows it’s use. Find out more about the Nina Ottosson interactive dog toy here. Balls are a fantastic all-purpose Labrador toy. Whether your Lab likes to fetch them, gnaw them, bounce them, paw them or chase them around the back yard. 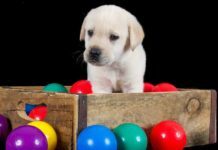 The best balls for Labradors are ones that are fairly large, fairly durable and often with a bit of bounce. A great ball choice for Labs is the Kong Extreme Ball dog toy. 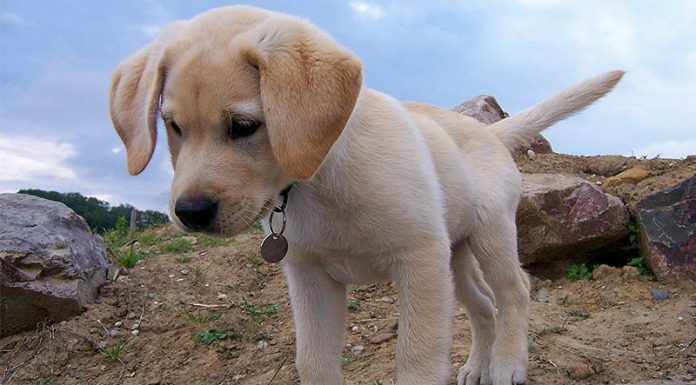 At around 3 inches in diameter is large enough to avoid choking but small enough that your Labrador should be able to pick it up and carry it. It is also bouncy, but puncture resistant. Designed with medium to large breeds of dog in mind, this ball from a trusted brand has been very well received. With numerous excellent reviews from owners of intense chewing dogs who are delighted with it. Find out more about the Kong Extreme Ball here. Another good choice for Labrador owners is the StarMark Everlasting Fun Ball dog toy. 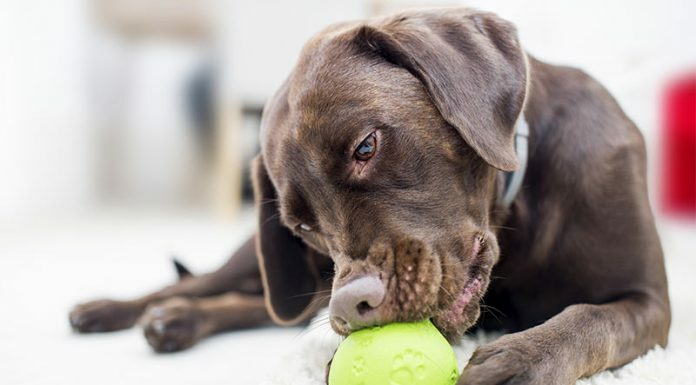 It is a virtually indestructible dog ball, which can also act as a treat dispenser. Designed to be chew proof, however enthusiastically your dog tries to get his treats out this ball should stand up well to the pressure. It can even be popped into the dishwasher when your dog has finished playing, to prevent it from getting unpleasant. Good fun for the casual chewer who loves to play fetch or football. Find out more about the StarMark Everlasting Fun Ball here. Another lovely option by Kong is the Jumbler ball toy. A fun and unique twist to an old favourite. The Kong Jumbler is a handled ball, which has an exciting interior to attract your Labrador’s attention. It contains not only a squeaker but a tennis ball inside. Shut away so your dog can’t chew it, but visible to him to keep him keen on playing. The handles make it easy for you to pick up and shake, whilst not interfering with your Lab using the ball as intended. I recommend choosing the larger size option for most Labradors. Not ideal for persistent chewers, but great for those that love to play ball and like a noisy toy. 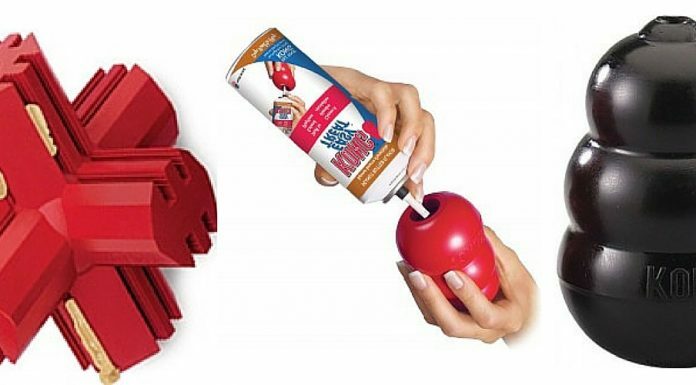 Find out more about the Kong Jumbler Ball Toy here. My final top ball choice for Labradors is the Chuckit Max Glow toy ball. It is made of synthetic rubber, and designed to stand up to frequent use. It comes in a large size, and it glows in the dark. So no more groping around in the dim light looking for the ball in the back yard, as it stays bright and keeps it’s glow even after dark. It is also compatible with the Chuckit ball launchers, so if you want to give your arm a rest you can use it here to. It is also resistant to chewing, so your dog shouldn’t be able to damage it on the way back to you! Find out more about the Chuckit Max Glow Toy Ball here. 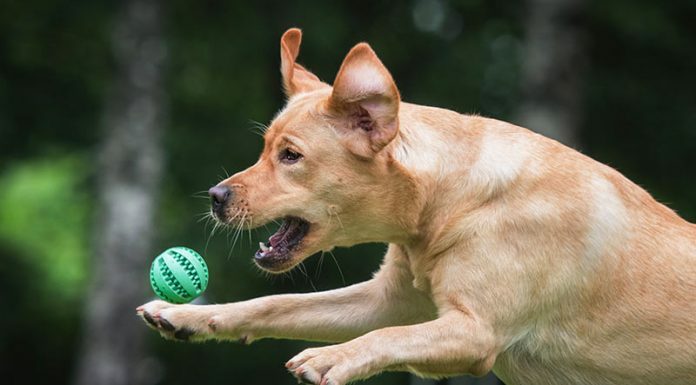 Labradors are all born and bred retrievers, and a great way to keep them entertained with their toys is to use them in games of fetch. Not all of us are blessed with an excellent ball throwing arm. In fact, when I lob a tennis ball it is just as likely to end up 3 feet behind me as it is to sore gracefully down the field. So it’s good to have some toys that give you a bit of a hand with getting the distance that your Labrador will love. My personal favourite retrieving aid is the Chuckit! Classic 26m launcher. Chuckit provide a range of ball launchers, but this is the one that we use and I must admit that I am a huge fan. Rachael the 3 year old chocolate Labrador has an endless enthusiasm for fetching things and I was having a hard time challenging her with my erratic throwing capabilities. The Chuckit is fairly intuitive to use, it will only take you a couple of goes to work out the best release point. Stick a ball in the socket and firmly gripping the handle throw your arm, aiming for the ball to be released high. 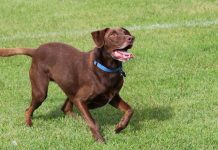 It will sore for a long way, and give your Lab a great exercise session – without you straining your shoulder or needing to run back and forth yourself! 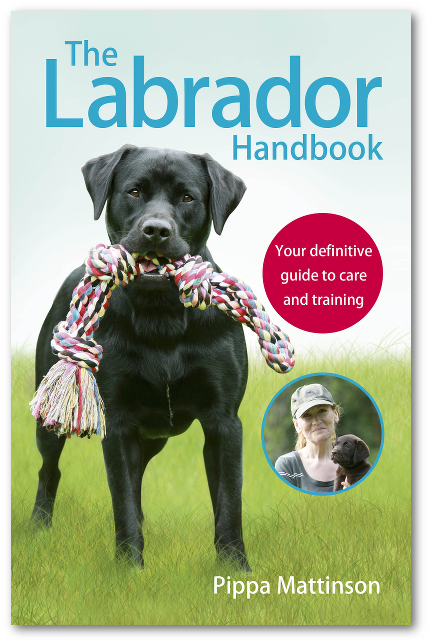 This is definitely a recommended purchase from our Labrador family! Find out more about the Chuckit! Classic 26M Launcher here. A slightly different retrieving option is the Nero Ball Launcher. This ball comes with a rope attached which lets you throw it further. With the added benefit that it can also be used as a tug toy. This ball and rope combo is tough and durable, designed originally for use by police dog handlers as a reward toy for training. It has the benefit is being light and easy to carry around. The ball is also tough and durable, giving you and your dog hours of play time. Find out more about the Nero Ball Launcher here. Our last retrieving toy option for lively Labradors has to be a frisbee. The one we would pick for a Lab who loves to fetch is the Zisc by West Paw Design. It is a tough flying disc toy, that can withstand frequent use by a a large dog. It flies like a hard frisbee, but is made from a material that is soft on your dog’s mouth when he catches and carries it. It is also chew resistant, so it shouldn’t get damaged if your Lab has a bit of a munch on the way back to you. In addition to this, the disc is dishwasher safe, so you can keep it nice and clean between play sessions. Find out more about the Zogoflex Zisc frisbee here. 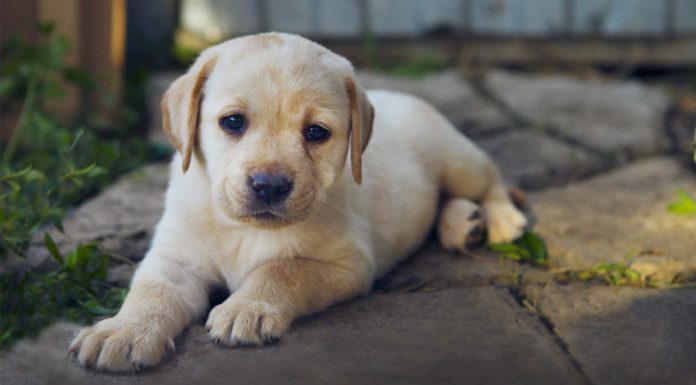 What are the best toys for Labradors? 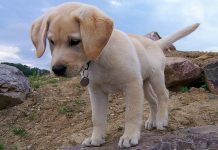 Labradors in general are bouncy, lively, fairly mouthy dogs, who love to retrieve. But within that category there are a huge range of doggy personalities. I hope that we have covered most of your Labrador toy needs with the various options above. 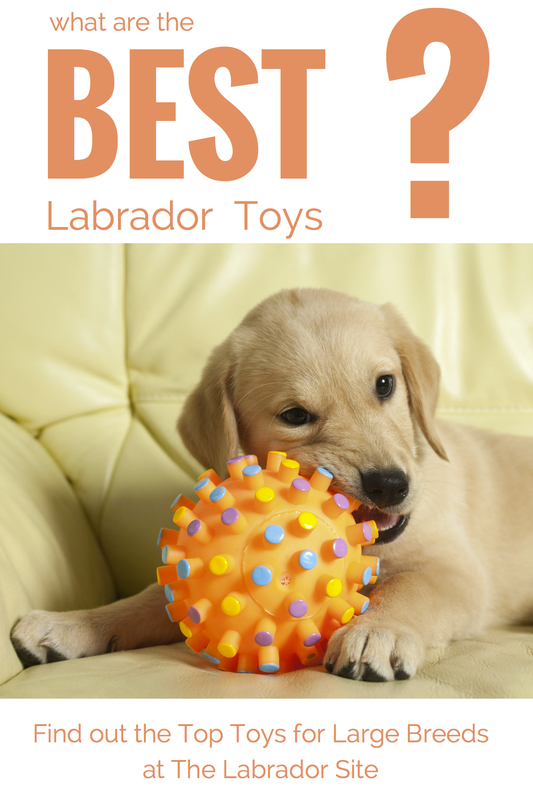 To decide the best toy for your Labrador, think about what he likes and dislikes and try to pick something that appeals to his nature. If your Labrador has a favourite toy that we haven’t mentioned above, why not let us know about it in the comments section below? 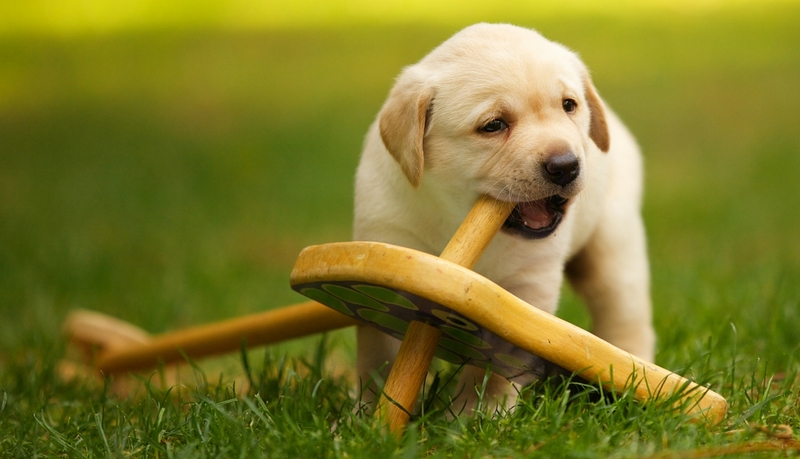 If you are struggling with puppy teething troubles or looking for help dealing with chewing then visit our behaviour and puppies section for plenty of advice on how to cope. Previous articleHow Do I Stop My Dog Digging? I bought the Monster K-9 frisbee for our Labrador and she loves it. Al the other disc toys she destroyed in a matter of hours. This one is still in one piece. She doesn’t seem to want to chew it, just retrieve it! It was well worth the price I paid. Our LabraDane loves the Starmark Everlasting Fire Plug. We put kibble in it and he’s figured out how to drop it down the stairs to get the treats out. It’s really durable and he’s had it about six months and still holding up well! Great for powerful chewers! PS Also the Kong Extreme is brilliant. He’s had the same one for at least two years. My pup loves the kong toys for playing fetch, but another toy my lab LOVES is the Monster Size Quadruple Knot Rope Toy by Mav4Life! No matter how much he chews on it, it hasn’t fallen apart! Super durable and can withstand her sometimes “tough” playtime. Need a very large ball…like a exercise ball for people that will not bust..have a 7 month old lab that loves to roll one around..but he finally put a hole in it..
Justin boldoni dog games can make your dog smart find him on facebook. Goughnuts tug toy – £85 on Amazon. £85? I don’t think so, however much I love my dog! For Frisbees, I think the fabric ones are the best. They are lightweight and fly better than heavier models. My dog chewed up every type of plastic Frisbee, but she doesn’t mess with the fabric ones so they last almost forever. They aren’t cheap, but they are durable, and we leave them out in the yard all year round. There is still an old Kong Frisbee somewhere out in the yard. It was so heavy that it wouldn’t fly! The chuck it Frisbees are pretty good, but my Lab seems to like the brand with the donut hole in the middle the best. The mini Frisbees don’t fly nearly as well as the ten inch diameter or larger ones. The boomer ball is the toy that gets my dog going. He can’t get his jaws around it so it’s not possible for him to chew on it. He’s hilarious to watch, chasing it around the garden and it bangs off everything with such force sometimes that pots have been cracked. I make allowances for that as he gets so much fun out of the ball. I do move some pots etc up out of the way now. I always supervise him/play pawball with him and limit the amount of time to about 20 minutes per playtime with it. He plays in the same way with the Kong Wobbler if I leave it lying around for a while after he has eaten. Good luck folks with any of the rope toys . Have tried them all and our 6 month old Labrador pup has managed to take them apart bit by bit over a few short period . We are with him 24/7 but he still managed to wreck them . Would not recommend the kong stick for indoor play, bought one for my labrador from our vet, gave it to her while still at vets, the stick cracked the glass of a display cabinet when Piper swung it round, she also has a trick of letting things fly. Be aware!! I am getting a toy for my lab what do you think is the best one out there that will last! ?